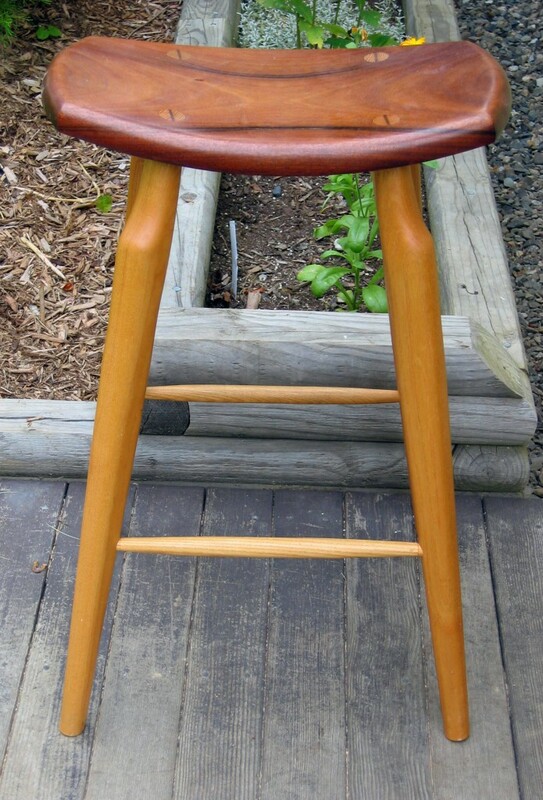 Simplicity personified, the Amherst Stool adds easy comfort to your bar or breakfast nook. Shown with hand shaped legs and stretchers crafted in solid ash with a beautifully grained sculpted cherry seat, the finish is a lustrous rubbed oil and durable, clear conversion varnish. 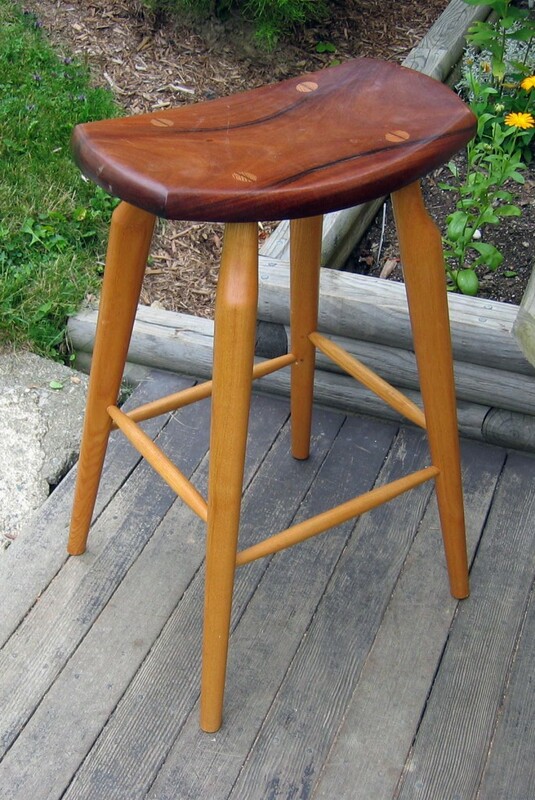 A stylish stool at home with any décor.